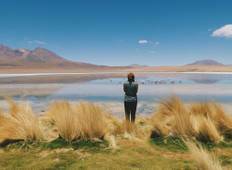 Find a Discovery trip that explores Argentina And Bolivia. There are 25 tours to choose from, that range in length from 6 days up to 77 days. The most popular month for these tours is November, which has the most tour departures. "It was our second tour and lived up to a our expectations. Anita our guide was amazing...."